You asked for it and we heard you! VIRTUAL CLASSES ARE HERE!! Never decorated a cookie before? No Problem! Are you wanting to impress the family during the holidays with your mad cookie skills? Let’s DO IT! Do you have your own cookie business? WELCOME! The VCC is a great place to learn new techniques and stay up-to-date with new trends that your customers are sure to love! Access to the Private Facebook Group, exclusive to Virtual Cookie Club members. A suggested supply list for the cookies we will be making each month with links for easy purchasing. A monthly prescheduled but LIVE video showing you step-by-step how to decorate a set of three sugar cookies (like you see April post on social media and here on the website.) These videos can be viewed live or at a time that is more convenient for you throughout the month. During the LIVE class you can ask questions at any time — just like we are in class together! If you miss the LIVE class, have no fear! You can ask questions on the group page at ANY time. Unlimited access to April and a community of other cookie artists to share tips, tricks, and positive feedback. An opportunity for a 1-on-1 call with April! An opportunity to be featured on the Sweet & Saucy Life Facebook and Instagram pages. PLUS VCC member only discounts with some of our favorite cookie supply shops! NEW!!! Members now have access to all of April’s past classes through the new MEMBERSHIP SITE!! That’s over a year’s worth of classes! Valued at over $300! Each month we will be decorating a set of three cookies with various designs including seasonal and holiday-themed cookies. We are always open to suggestions for the next class, so feel free to email April with any suggestions at info@sweetandsaucylife.com. 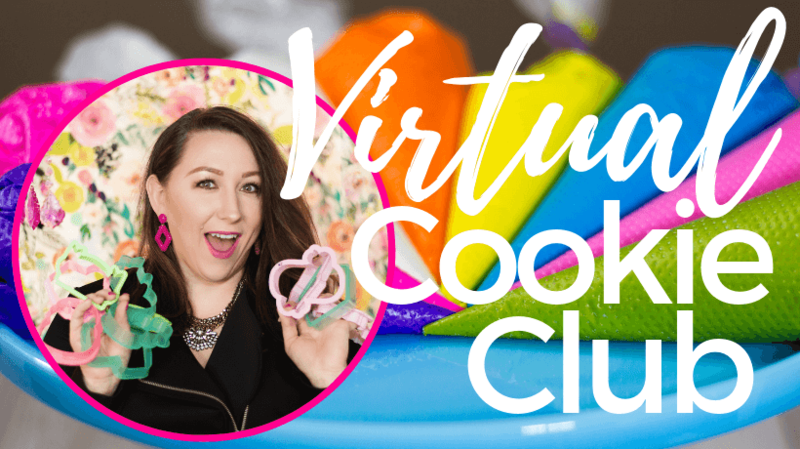 *Virtual Cookie Club is a subscription club where your membership will run for 30 consecutive days (monthly) or 1 year for annual. New members are added to the Facebook group on the 1st of the month for immediate access into the current month. Your monthly membership will be automatically renewed in the Virtual Cookie Club unless a cancellation is made via the membership website or via email to info@sweetandsaucylife.com. Annual memberships are non-refundable and will renew annually until member cancels. Cancellation is effective the day the member requests to be cancelled. *Virtual Cookie Club is a subscription club where your membership will run for 30 consecutive days. Enroll by the 3rd of the month for immediate access into the current month. Your monthly membership will be automatically renewed in the Virtual Cookie Club unless a cancellation is made via the membership website or via email to info@sweetandsaucylife.com. Annual memberships are non-refundable and will renew annually until member cancels. Not a member? Join the waitlist! Thank you for joining the Virtual Cookie Club Waitlist! The VCC Club is awesome and April is so very kind, helpful and knowledgeable. It’s good money spent every month on the club. Absolutely love watching your live videos! Amazing talent!